Publicity for our achievements should be directed not only to prospective recruits but also to students and faculty already here. We should remind people on campus (whether indigenous or visitors) that from our department came the essential results that enabled fiber optic imaging, that pioneered the field of non-linear optics, that opened the microwave region to spectroscopy, that detected neutrinos from another galaxy. We need visual reminders of our accomplishments, reminders that can trigger questions and discussion for better appreciation of our own past. Donations will be recognized with symbolic gifts drawn from an archive of UM (and other) physics memorabilia — many from my own accumulation, but some contributed by others. 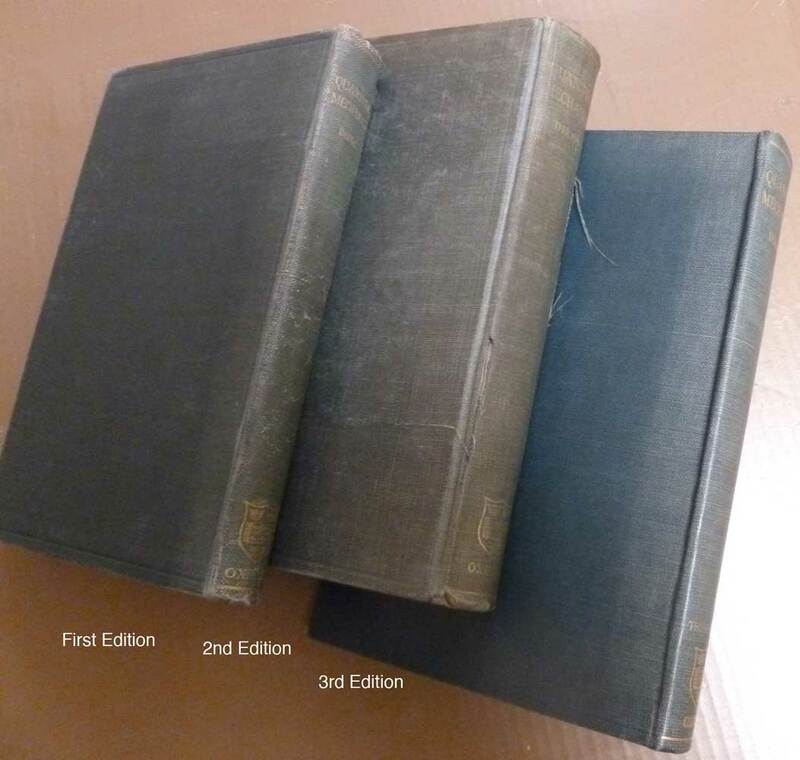 Among these are scientific objects and instruments, rare/collectible books, copies of important scientific papers , and graphic art (posters & photographs) related to UM Physics. 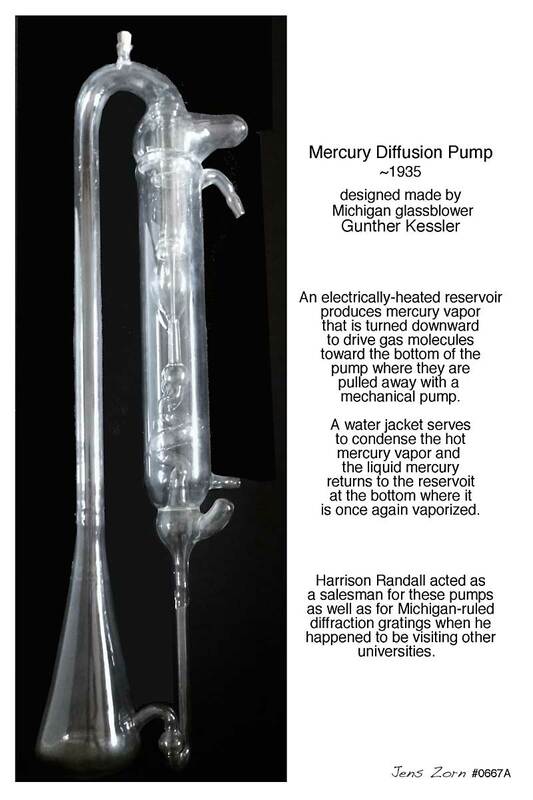 Example: Mercury diffusion pump designed and built by Gunther Kessler. 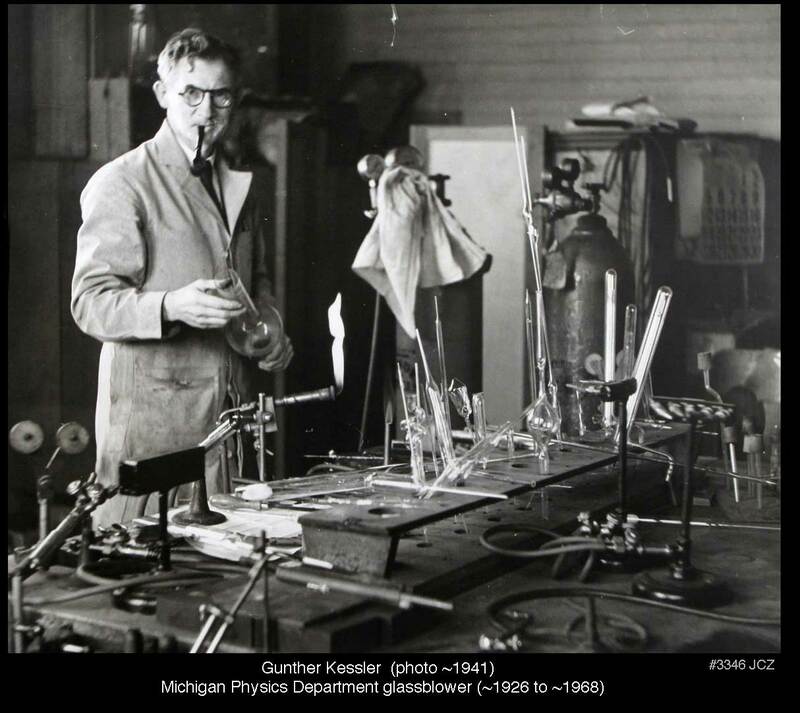 This is an example of the glass diffusion pumps made (from the late 1920’s onward) by Gunther Kessler, our famous glassblower who was recruited by Randall in 1924 and remained until retirement in the late 1960’s. These pumps operated with a jet of molecules from hot mercury vapor acting to move residual gas from the evacuated volume to a region where a mechanical pump could pull them away. Their use required careful trapping to keep mercury vapor confined. [trap cooling provided by some combination of liquid nitrogen, dry ice + acetone, and cold water. First edition is no longer available. Second edition (actually scarcer than the first), from the library of Wilbur Peters. In ~1950, Bell Laboratories distributed to research laboratories samples of transistors that were to be put into production. This pair is in a presentation case. this is a tube constructed to minimize leakage current from the control grid, this to enable the use of an extremely high grid resistor in order to measure feeble currents. The interior of the tube features re-entrant glass resistors and other delicate construction. 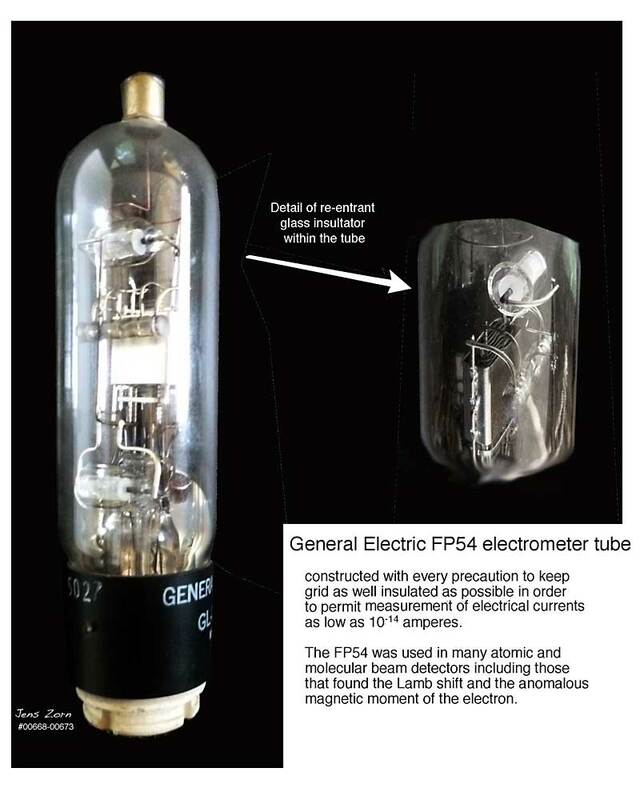 FP54 tubes were used in the detector circuits for many molecular beam experiments including those that determined the quadrupole moment of the deuteron, the Lamb shift, and the anomalous magnetic moment of the bound electron.